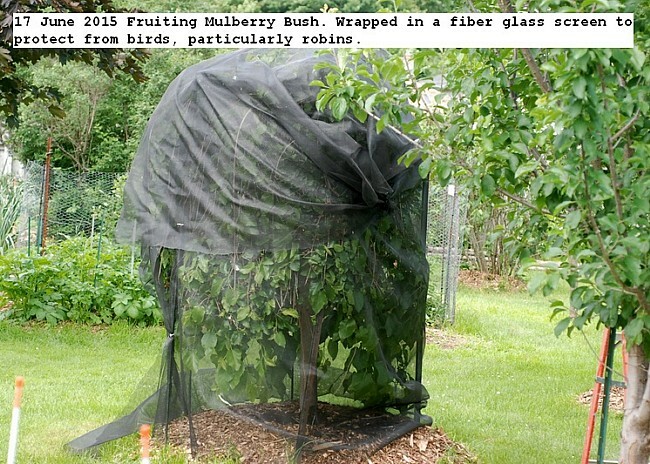 The fruiting mulberry bush was wrapped in a fiber glass screen to protect form the ravages of birds.The fruit is plentiful this year and perobably five to ten pounds will be harvested.Without protection the harvest is almost nothing. This entry was posted in Uncategorized and tagged Fruiting Mulberry Bush. Bookmark the permalink.